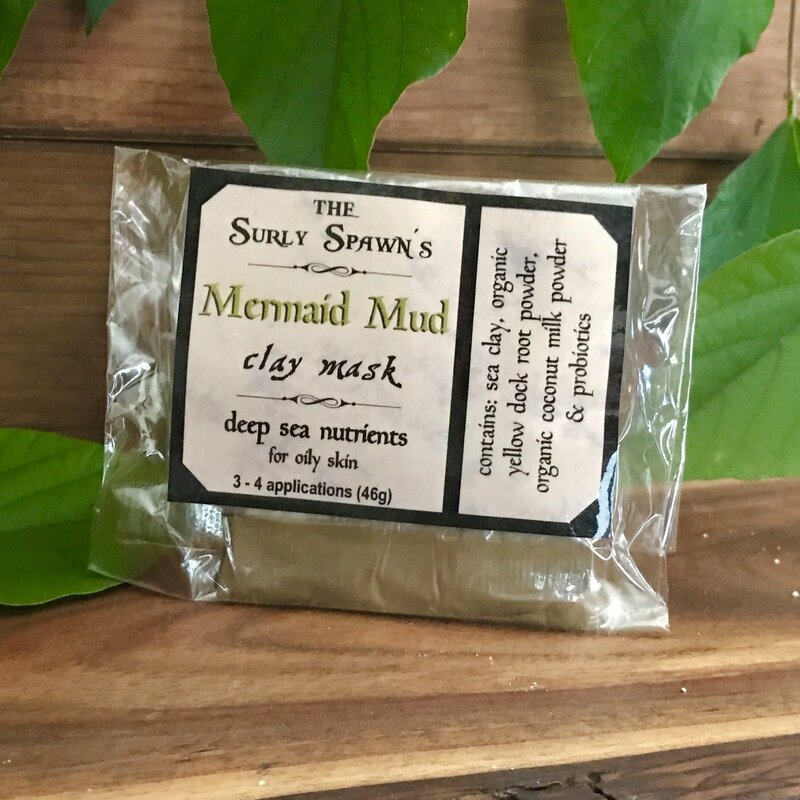 The Surly Spawn's Mermaid Mud "deep sea nutrients" clay mask is high in micro & macro nutrients and algae to nourish the skin with organic yellow dock root to soothe and purify. Coconut milk is added for vitamins and moisture while a shot of probiotics are added to maintain the healthy balance. This formula is best suited for oily skin types. ingredients: sea clay, organic yellow dock root powder, organic coconut milk powder and probiotics.